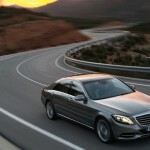 Here it is – after all the wait, the 2014 Mercedes-Benz S Class is finally here with three new engineering priorities. 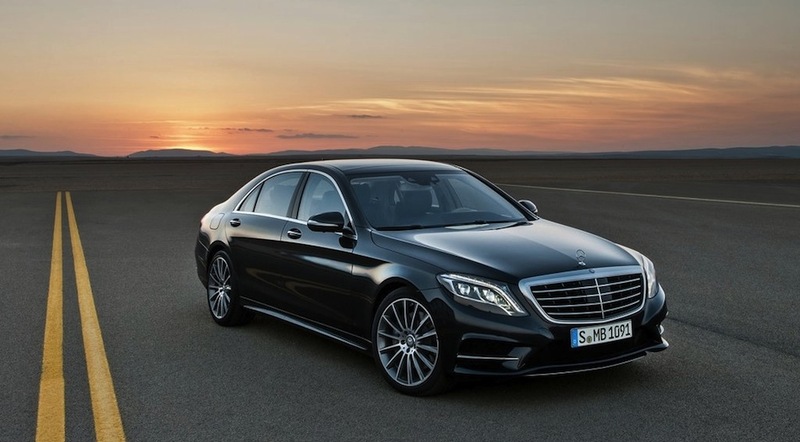 Mercedes-Benz says that the new S-Class embodies three engineering priorities including Intelligent Drive, Efficient Technology and Essence of Luxury. 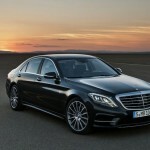 The 2014 Mercedes-Benz S Class will be available in a couple of trim levels including the S350 BlueTEC, the S500, and the S400 Hybrid. 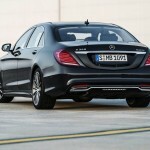 The S350 BlueTEC will be powered by a 3.0-liter V6 diesel engine that produces 258-hp and allows the S-Class to run from 0 to 62 mph in 6.8 seconds with a top speed of 155 mph. 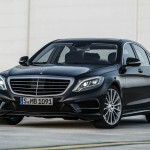 The S500 will be powered by a 4.7 liter V8 making 455-hp with the ability to go from rest to 62 mph in 4.8 seconds and the S400 Hybrid will be powered by a 3.5 liter V6 engine mated to an electric-motor. That will allow it to produce 306-hp with the ability to go from 0 to 62 mph in 6.8 seconds. – Interior: Approx. 300 LEDs. – Adaptive Highbeam Assist Plus and Night View Assist Plus. – MAGIC BODY CONTROL: instantaneously sets up the suspension to deal with the new situation. – Two high-resolution TFT colour displays in 8:3 format with a screen diagonal of 12.3 inches as the new information center in the S-Class. – AIRBALANCE package: Consists of perfume atomisation, ionisation and even more efficient filtration compared with the standard model. – ENERGIZING massage function: based on the hot-stone principle or active seat ventilation with reversing fans. – Burmester Surround Sound system and the Burmester High-End 3D-Surround Sound system. – Beltbag: an inflatable seat-belt strap that is able to reduce the risk of injury to passengers in the rear in a head-on collision by lessening the strain placed on the ribcage. – DSTRONIC PLUS with Steering Assist and Stop&Go Pilot: takes the burden off the driver when it comes to lane guidance and is also able to follow vehicles in traffic jams automatically. – Brake Assist system BAS PLUS with Cross-Traffic Assist: A to detect crossing traffic and pedestrians too, and to boost the braking power applied by the driver accordingly. – Active Lane Keeping Assist can detect when the adjacent lane is occupied, especially by oncoming traffic.